Have anyone done any speed tests with RPi 3+? 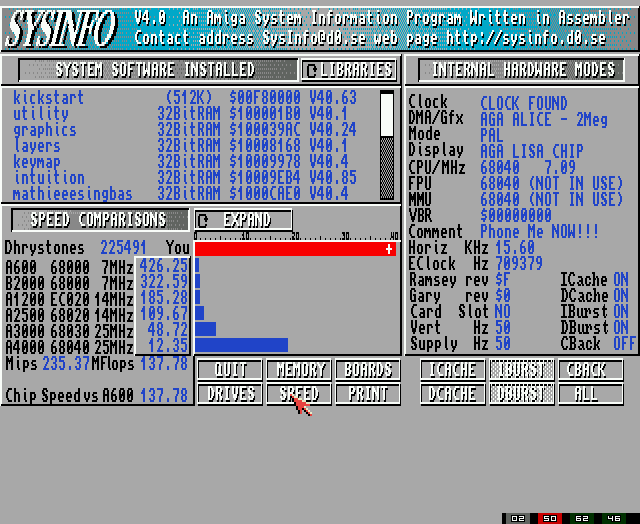 Mabye a sysinfo speed screenshot? I taken too the fpu jit from tomb, so fpu demos/games are faster. X11 and similar software conflict with RealVNC, try removing RealVNC ! Where should we submit this problem ? Isn't the opposite ? I mean it works in console (without X) but doesn't works under X ? rpdom wrote: Isn't OpenGLES a subset of OpenGL? Looks like link to the dispmanx scaling i was speaking of... So did the proposition in given thread improve something or not ? I re-introduced double buffering for raspberry pi.